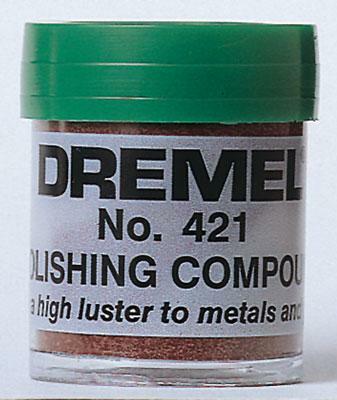 This is Dremel's Polishing Compound. Retail $3.27 SAVE 24% ! A solid compound applied with nylon bristle brushes and cloth or felt accessories. Ideal for polishing or brightening most metals and plastics. You can also use polishing compound to remove light surface imperfections.